This is a simple, yet really tasty dish. The ginger gives such a wonderful flavour to the vegetables yet the full taste of the beautiful steak shines through and the tomatoes add just a touch of sharp sweetness. No sauce is needed – it is perfectly balanced as it is. Cook the steak as rare, or as well-done as you like; ring the changes with different cuts of beef such as sirloin or rump but I have to admit I enjoy a nice piece of fillet any day. Oil of choice to cook. Rub the salt over the fillet steaks. 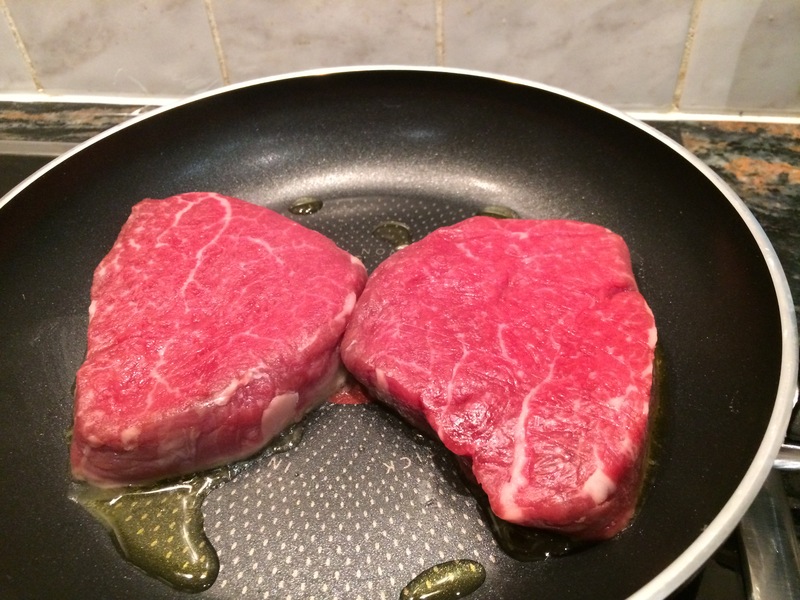 Heat a tablespoon of oil (extra-virgin olive, or coconut) in a fry pan and add the fillet steak. Cook for a few minutes each side until the steak is to your liking (2 minutes each side for rare, more for medium or well done). Alternatively, grill the steaks. Sit the steak on a plate loosely covered with foil to rest as some liquid will drain out. In the meantime, add another tablespoon of oil to the fry pan and add the chopped onion and cook until translucent. 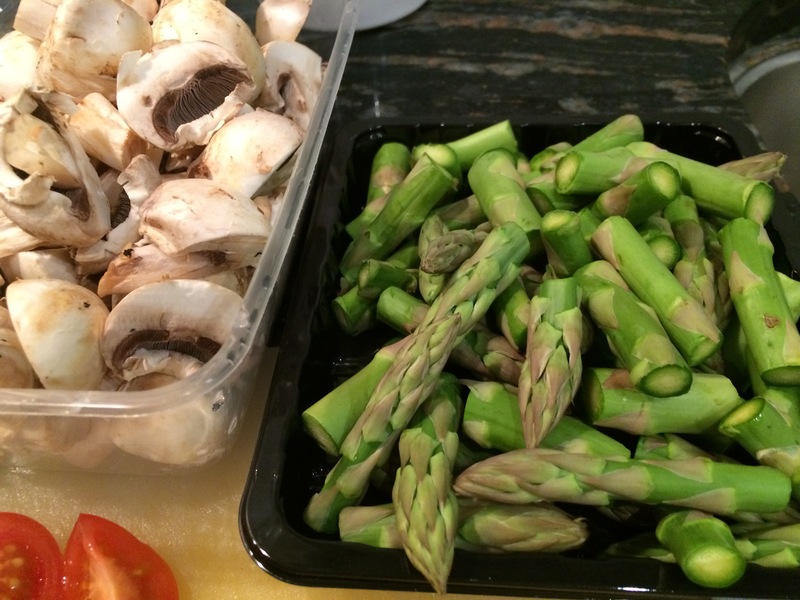 Add in the asparagus and mushrooms. Saute for a few minutes until the vegetables are just tender. 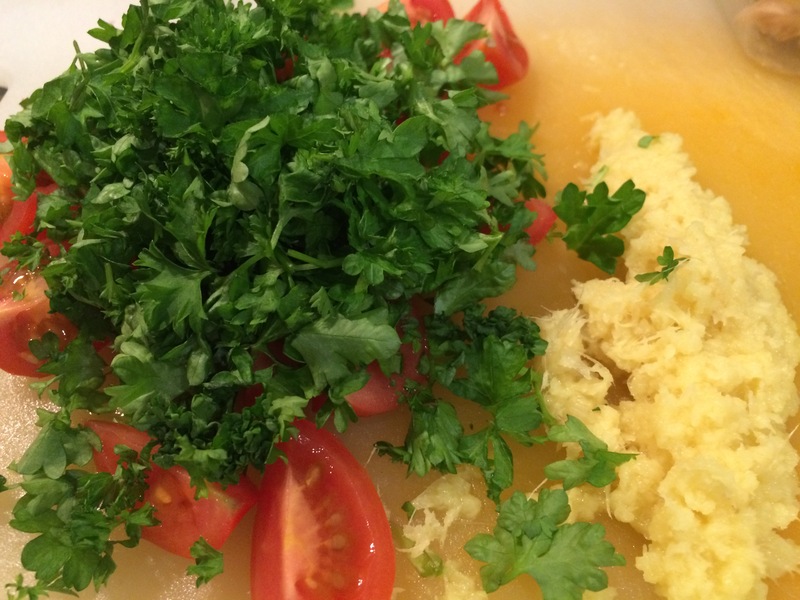 Add in the tomato halves, chopped parsley and ginger. Saute for a further few minutes and serve on a plate, topping with the steak. 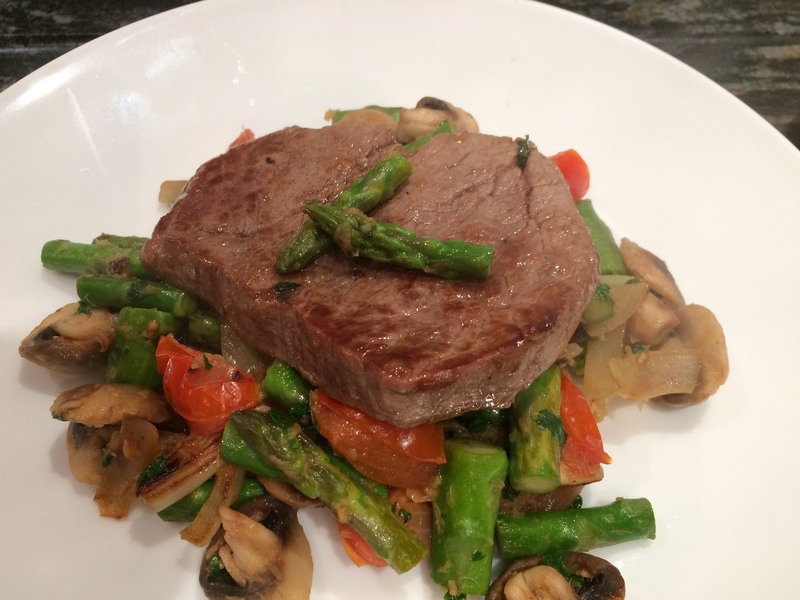 This entry was posted in Dinner, Supper and tagged Asparagus, Beef, Cooking, Dinner, Fillet Steak, Ginger, Gluten Free, Healthy Eating, Mushrooms, Parsley, Supper, Tomatoes, Vegetables, Wheat-Free. Bookmark the permalink.